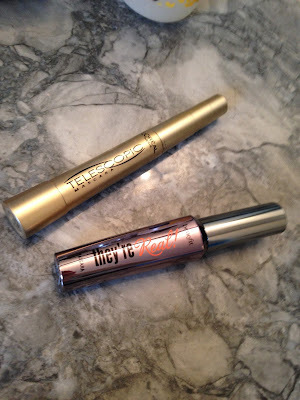 Benefit "They're Real" is on the left eye and L'Oreal Telescopic is on the right eye. Both eyes have three coats of the mascara. If you look closely the They're Real mascara is slightly thicker and slightly blacker/darker than the Telescopic mascara! 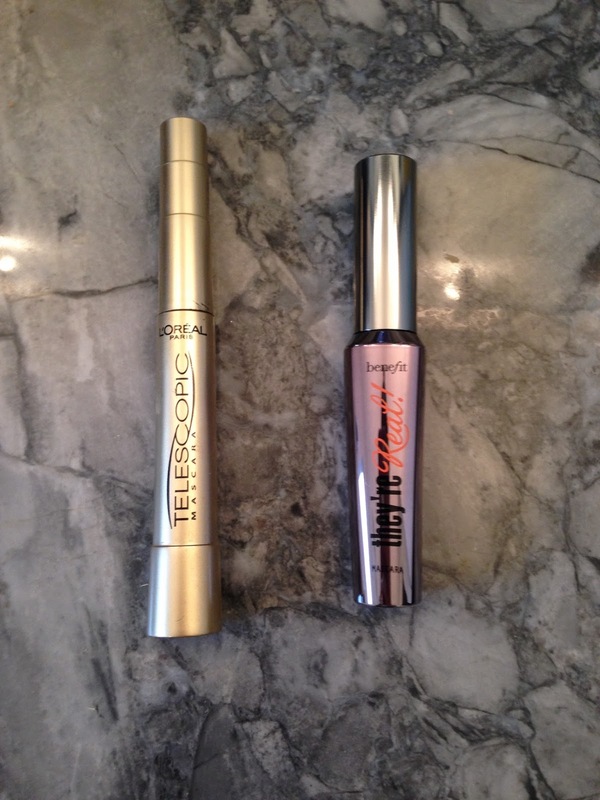 It is hard to find mascaras and eyeliners that are a true black and not a dark brown. When mascara is a true blue/back it will enhance the whites of the eyes and therefore making them appear larger. 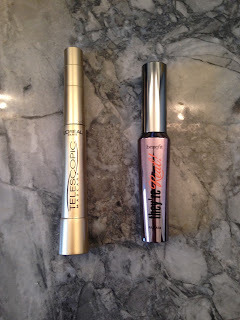 Both mascaras separated nicely and lengthened. By the end of a 9+ hour day of wearing the mascara though the Benefit beat out the L'Oreal for wear. The L'Oreal just left flakes and smudges by the end of 6 'ish hours whereas the Benefit stayed put. So you decide if the Benefit is worth the $32 price tag, I think it is!